Breathtakingly stylish and sophisticated yet refreshingly simple, the Homestead provides the ideal venue to reconnect with friends and family. With the warm, friendly faces and helping hands of a full complement of staff ready to welcome you on arrival, you will instantly feel as though this is your second home. 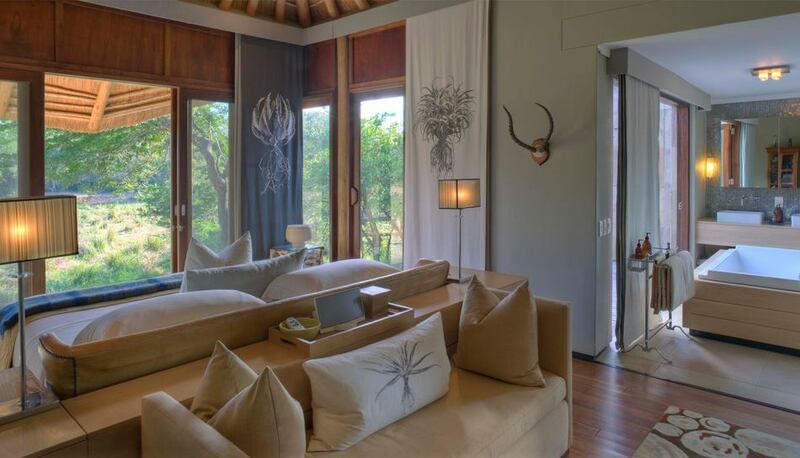 Inviting rooms designed around retro trinkets, Zulu crafts and sleek, contemporary touches reinforce the impression that this private safari villa is designed for comfort and ease. 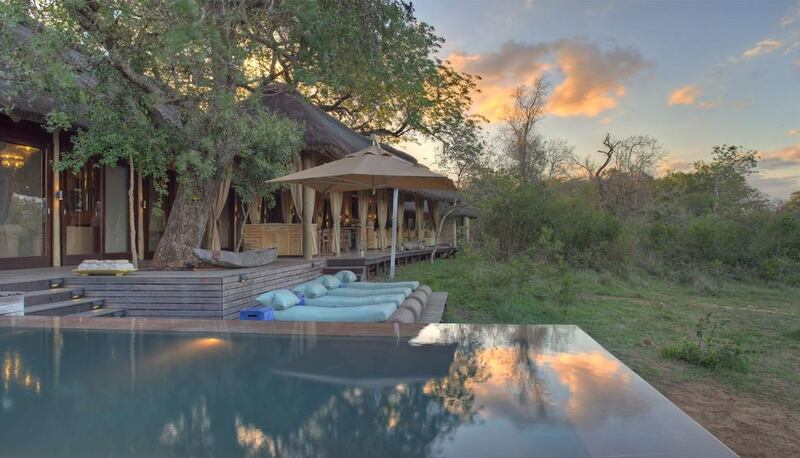 The sky and savanna of Phinda Homestead is designed to make the most of the luxury of Africa’s wide open spaces. Breathtakingly stylish and sophisticated yet refreshingly simple, the Homestead provides the ideal venue to reconnect with friends and family. While away a quiet afternoon drinking in the views from the open viewing decks or give in to the seduction of plump cushions around the sparkling swimming pool. If you're feeling more active, enjoy a workout in a gym that boasts incredible view of the wilderness outside. 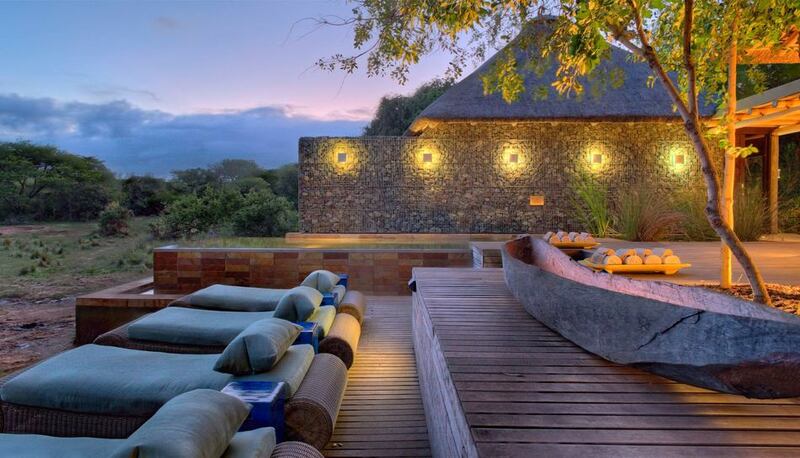 As night closes in, admire the glorious colours of an African sunset steal over the skies as the warm light of dozens of lanterns creates an intimate dining space in the private outdoor boma. A focus on stylish comfort, coupled with genuine hospitality from your personal chef and butler, will have you feeling at ease in this private villa. An interactive kitchen awaits your instructions, whether it’s the simple joy of having your favourite meals prepared for you or the pure pleasure of being surprised at meal time. Enjoy meals shared with special people around a spacious table or savour a delectable picnic on an extended game drive. The warm, friendly faces and helping hands of a full complement of staff are ready to welcome guests on arrival. Inviting rooms designed around retro trinkets, Zulu crafts and sleek, contemporary touches reinforce the impression that this private safari villa is designed for comfort and ease. Generous courtyards, ponds and living areas that open up to the landscape beyond embrace the surrounding bush, inviting it into the spacious interiors. 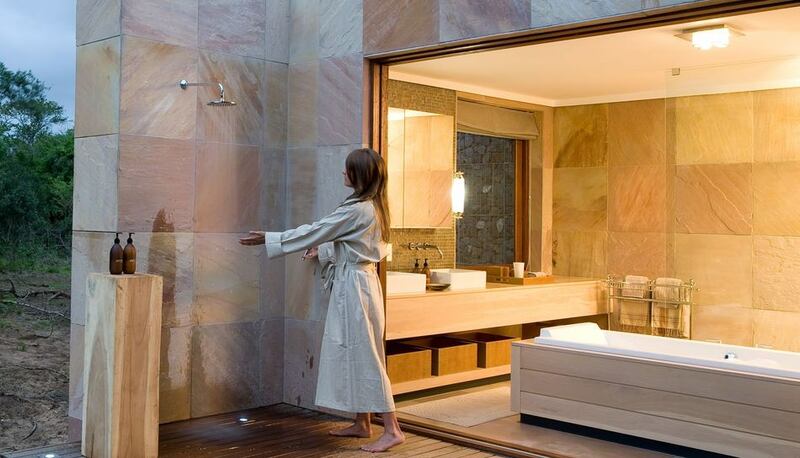 Large sliding windows give a sense of space and light. 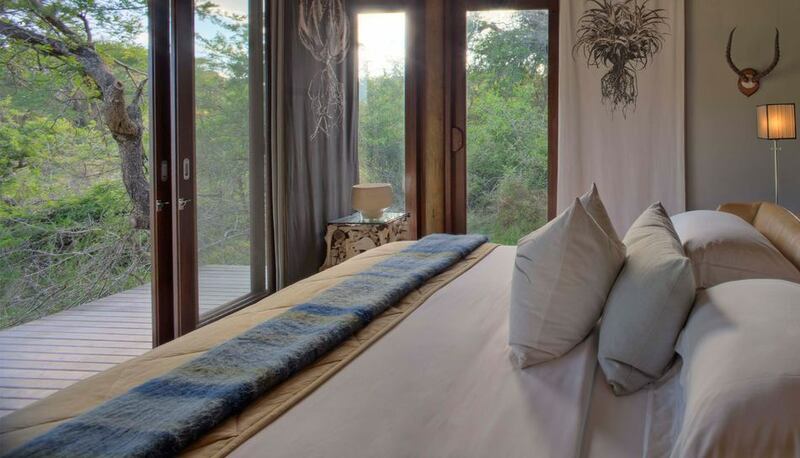 Beds are positioned to face the waking bush but there's no need to jump out of bed early - with a dedicated game ranger and tracker, as well as a private game drive vehicle, guests set their own game drive times. Large sliding windows give a sense of space and light. 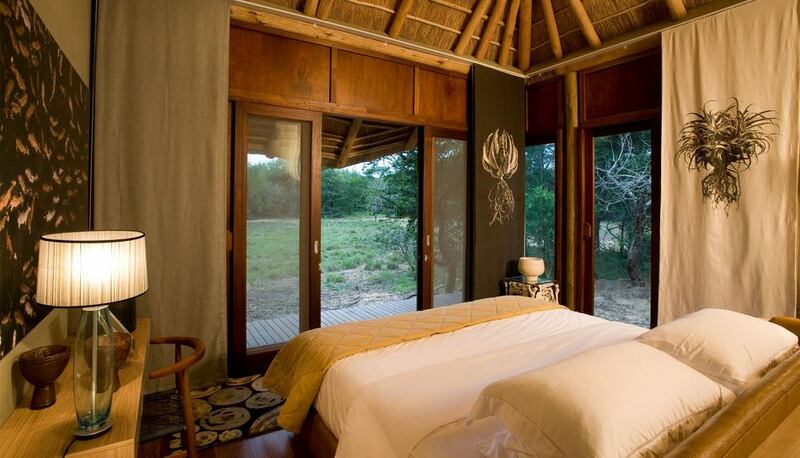 Beds are positioned to face the waking bush but there's no need to jump out of bed early - with a dedicated game ranger and tracker, as well as a private game drive vehicle, you set your own game drive times! Four spacious suites are grouped around a common lounge and dining area, offering privacy for individual couples while providing shared spaces for the family to spend time together. A nanny’s room is available for childminders travelling with the family. The exclusive use of a safari vehicle, as well as a dedicated ranger and tracker team, mean that game drives can be tailored for the shorter attention span of younger children, leaving and coming back to the lodge at any time. The private chef is available to prepare meals at any time, catering for early bedtimes and preparing special food for fussy eaters on request. Childminders are available to look after younger children. 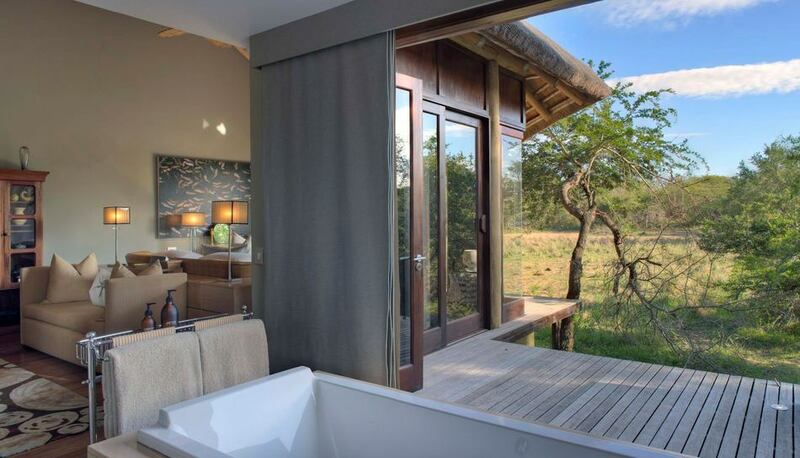 Phinda Private Game Reserve, formerly known as Phinda Resource Reserve, is a 170 km² private game reserve situated in KwaZulu-Natal, South Africa between the Mkuze Game Reserve and the Greater St. Lucia Wetland Park. 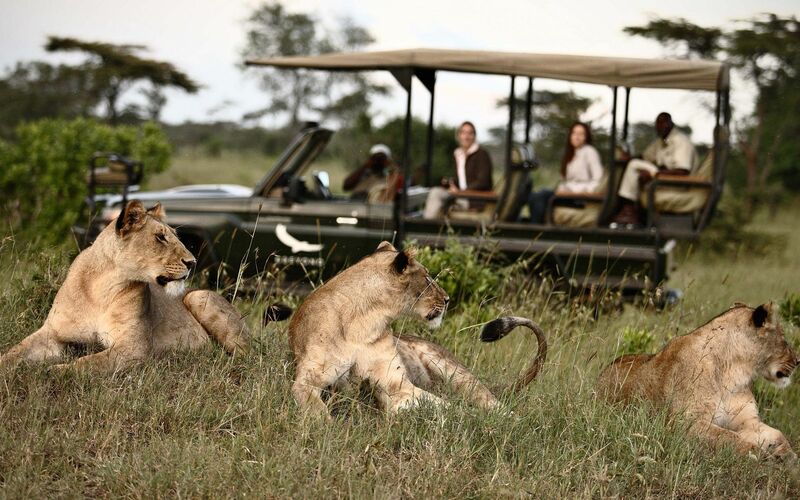 •	Best time to travel - All year round; best game viewing from March to end of September. •	Guest Safety. 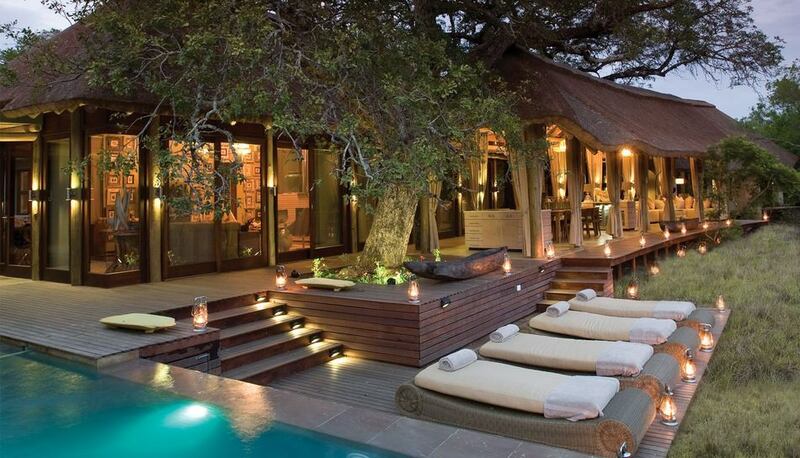 The lodge is not fenced off and we request guests be extremely vigilant at all times. •	Languages - Afrikaans, English, isiNdebele, isiXhosa, isiZulu, and Sepedi. •	Wildlife - Cheetah, white & black rhino, nyala antelope, and more.